Nigel Price & Matt Wates, leaders in their individual fields, this modern jazz guitar and sax duo are also available as a trio with the addition of double bass. Nigel Price & Matt Wates offer a duo of jazz guitar and saxophone. They are available for hire to provide background music for all occasions: weddings, parties, corporate events etc. Nigel Price is a superb jazz guitarist who regularly performs as a trio with Hammond organ and drums or bass and drums. In this line up with Matt Wates, one of the jazz scene’s leading saxophonists, the third instrument is an upright double bass, and the ensemble has been put together specifically to cover the sophisticated end of cocktail jazz. 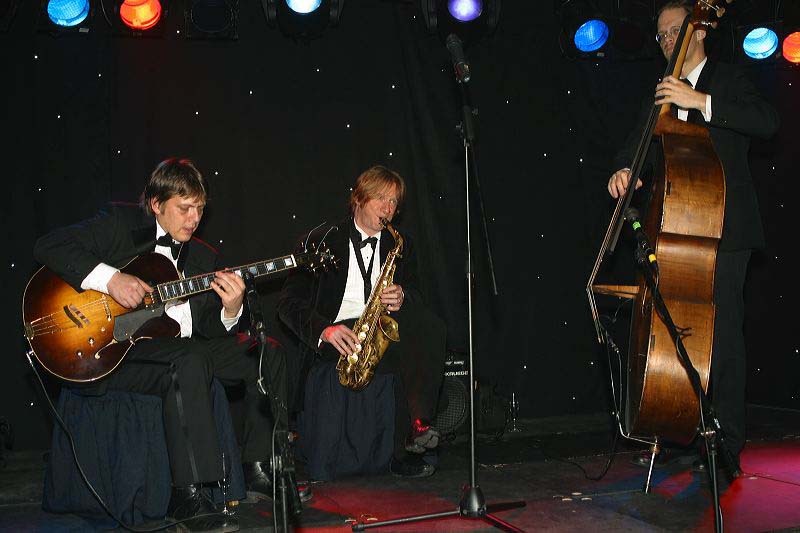 They cover a wide range of jazz standards from the 1920s to the current day. Matt was born in London in 1964 and graduated from Berklee College of Music in 1988. He has appeared with Bucky Pizzarelli, John Colianni, Humphrey Lyttelton, Georges Arvanitas, Helen Shapiro, Don Weller, Bobby Wellins, Dusko Goykovich, Duncan Lamont, Ian Shaw, Norma Winstone and Peter King. He has recorded with Paz, Roadside Picnic, Itchy Fingers, NYJO, the Michael Garrick Big Band, Sax Appeal and Jamie Cullum. The Matt Wates Sextet has recorded nine albums on the Audio-B label. He won the Rising Star award in the 1997 BT British Jazz Awards, and the Sextet won the Best Small Group award in 2001.